I had the great fortune to spend the month of December on residency at Cill Rialaig, an artist’s retreat located on the coast a few miles outside of Ballinskelligs, Co. Kerry. While there I worked on completing sketches for each of the sections of the Wilde Stories project for the RTÉ Concert Orchestra and Cór na nOg, as well as making starts on a few smaller pieces and songs. 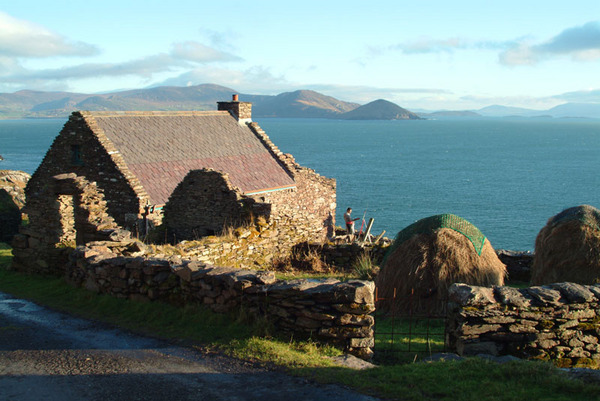 Perched on the side of a headland, Cill Rialaig is a retreat in the truest sense of the word, and I found the organisers, the locals and the surrounding landscape to be wonderfully welcoming. I hope to make many returns!